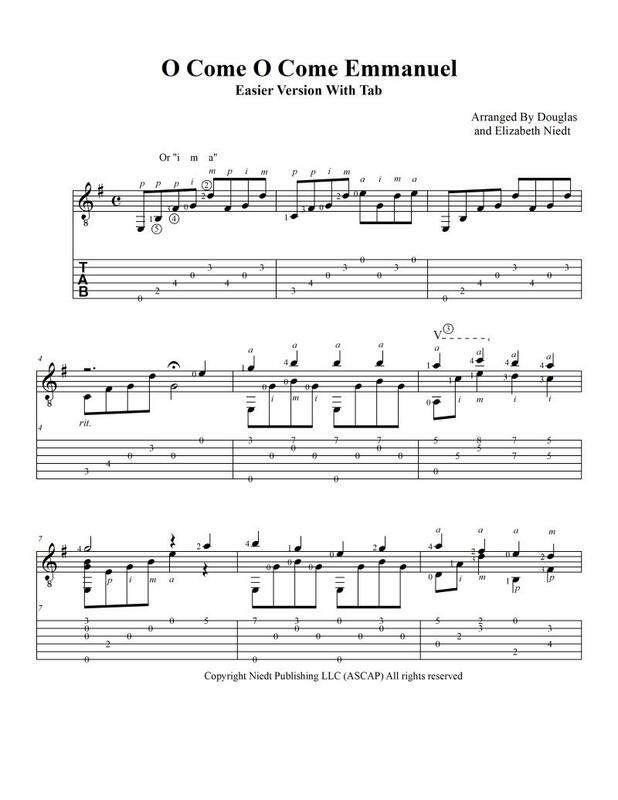 This is a beautifully produced book (in PDF format) of the printed sheet music from Doug's Christmas CD, In Heavenly Peace. The arrangements are note-for-note and thoroughly fingered exactly as Doug plays them on the recording, no compromises! After you order, within 24 hours you will be sent an email with a link to the files. This is NOT an automated service. We attend personally to every order, so please be patient. Even though no physical product will be shipped, you will be asked for and must fill in your shipping address. Your email address is automatically captured when you order. Be sure to watch the video on full screen. Click the icon to the right of the volume/speaker icon in the lower right-hand corner. Hit escape "ESC" on your keyboard to return to normal viewing. YOU CAN PLAY THIS TOO! Douglas Niedt's In Heavenly Peace CD contains some of the most moving and creative solo guitar music ever recorded. SPECIAL OFFER: Make your Christmas shopping easy! Give In Heavenly Peace CDs to all your friends and family at Christmas. Order 12 copies. Only $8.00 per CD. Total: $96.00 (plus shipping). If you can't buy the entire book, you can purchase some individual arrangements from Doug's Christmas CD, In Heavenly Peace. Each song is only $6.00. There is no shipping charge. We will email you a link to the PDF file within 24 hours. This is not an automated service. We attend personally to every order, so please be patient. 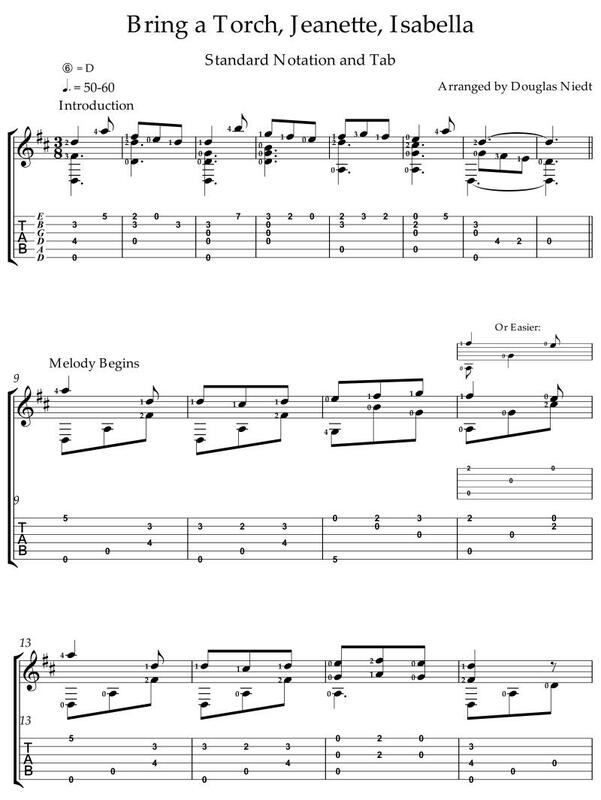 Click on a song title below to see a sample page of the sheet music, listen to soundclips, or order the music. Doug recorded two versions of this beautiful carol on his Christmas CD, In Heavenly Peace. This is the second version. The PLAY IT LIKE A PRO™ format includes three detailed instructional videos to help you play In the Bleak Midwinter like a pro. 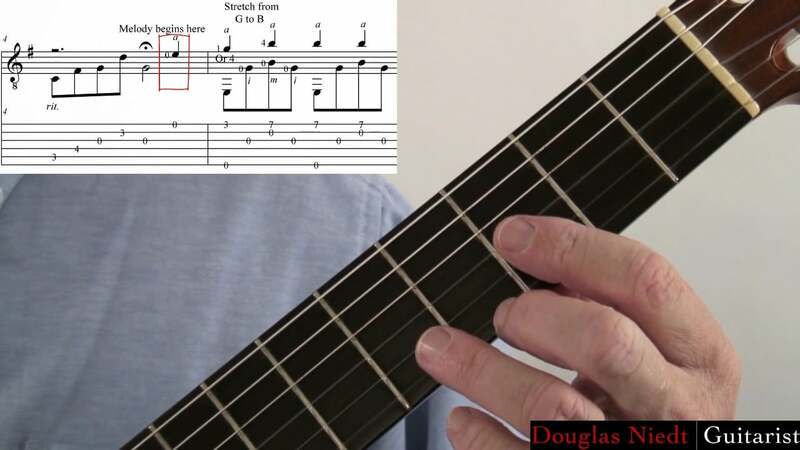 Doug demonstrates how to play the piece measure by measure and explains all the technical and musical details required to play the piece on a professional level. 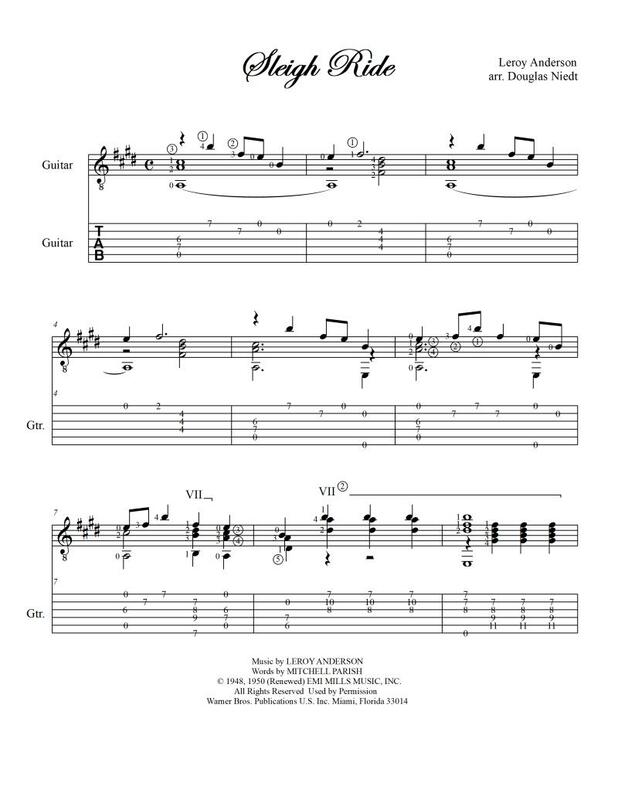 The package includes four versions of the score (in standard notation and tab) including an annotated version with detailed instructions on how to play this beautiful Christmas song with pro-level execution. After you order, within 24 hours you will be sent an email with a link to a personal webpage we will set up especially for you! You can then view or download the music and videos from your personal webpage. This is not an automated service. We attend personally to every order, so please be patient. This is a beautiful arrangement of the carol. I have an easier version and an advanced version. Listen to Doug play the two versions. 3. 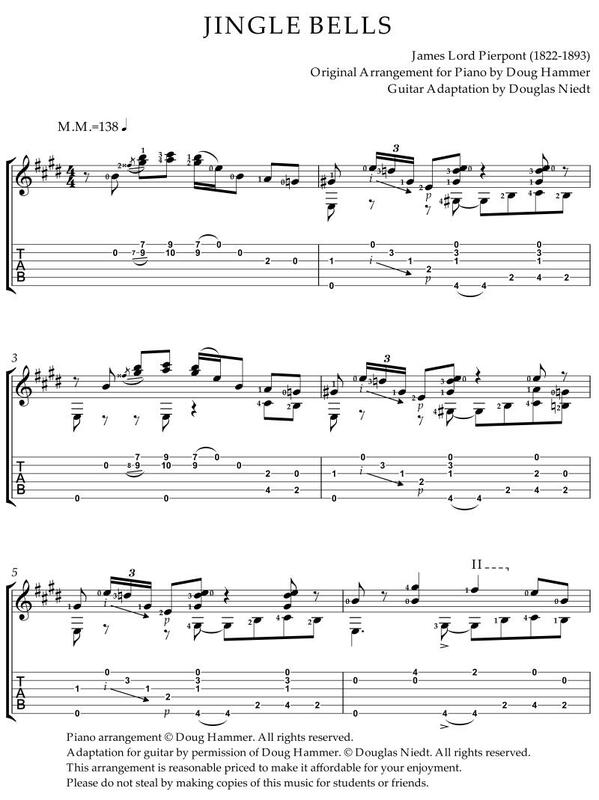 An annotated version (in standard notation plus tab) with detailed performance instructions. and 3 (!) videos of me teaching you how to play the advanced arrangement. 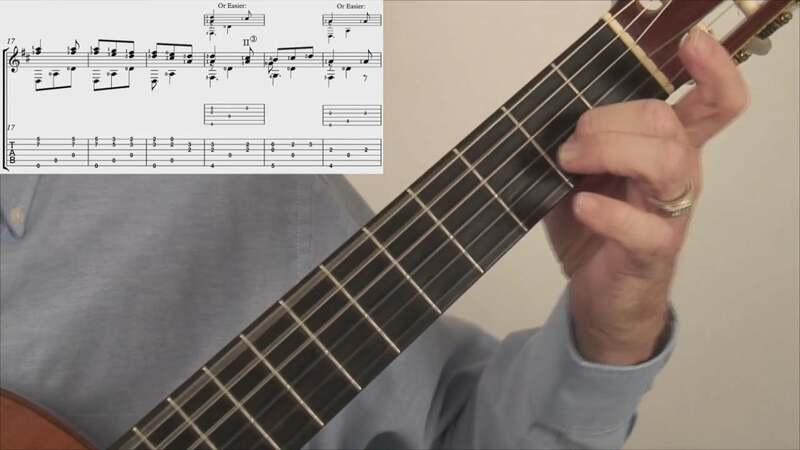 Here is a sample video clip from one of the four detailed instructional videos that come with the sheet music package. 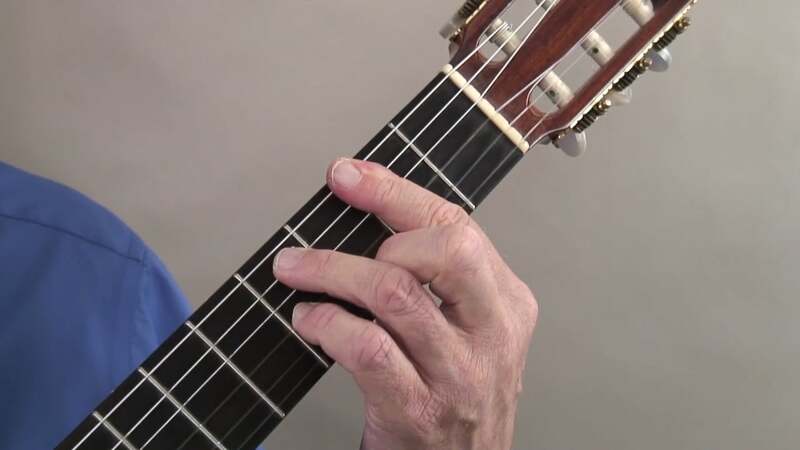 PLUS, you receive four detailed instructional videos to help you learn the piece. Only $6.00. 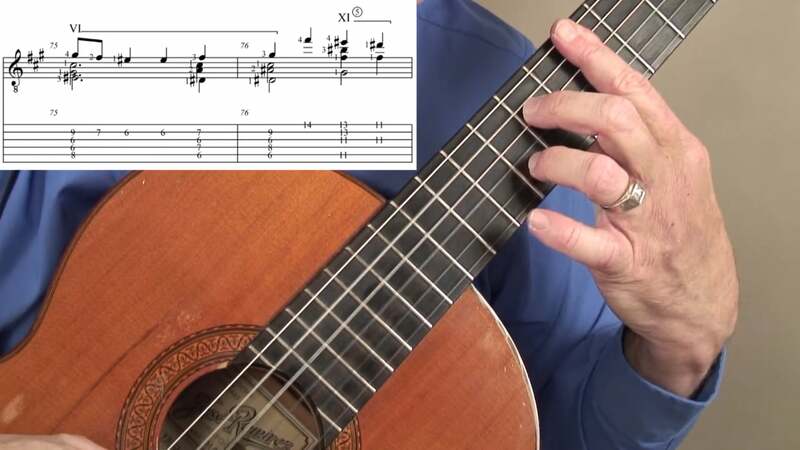 Note: This arrangement is free for subscribers to my Technique Tip of the Month. We will email you a link to your purchase within 24 hours. The Christmas carol, Bring a Torch, Jeanette, Isabella (Un Flambeau, Jeanette, Isabelle in French) tells the story of two milkmaids, Jeanette and Isabella, who went to a stable in Bethlehem to milk the cows only to find the baby Jesus sleeping in the hay. They were so filled with excitement that they took their torches and ran to the village to spread the news of the newborn Christ child. The townspeople came with their own torches to view the sight for themselves. However, they had to keep their voices down so little Jesus could enjoy his dreams. To this day in the Provence region, children dress up as shepherds and milkmaids, carrying torches and candles to church on Christmas Eve while singing the carol. Watch me play Bring a Torch, Jeanette, Isabella. 5. Annotated score in standard notation and tab. Contains instructions to help you play the carol. 6. Annotated score in standard notation. We will email you a link to the PDF file within 24 hours. This is a Flemish traditional carol. The arrangement is based on a choral arrangement by John Rutter. Watch me play CRADLE SONG. 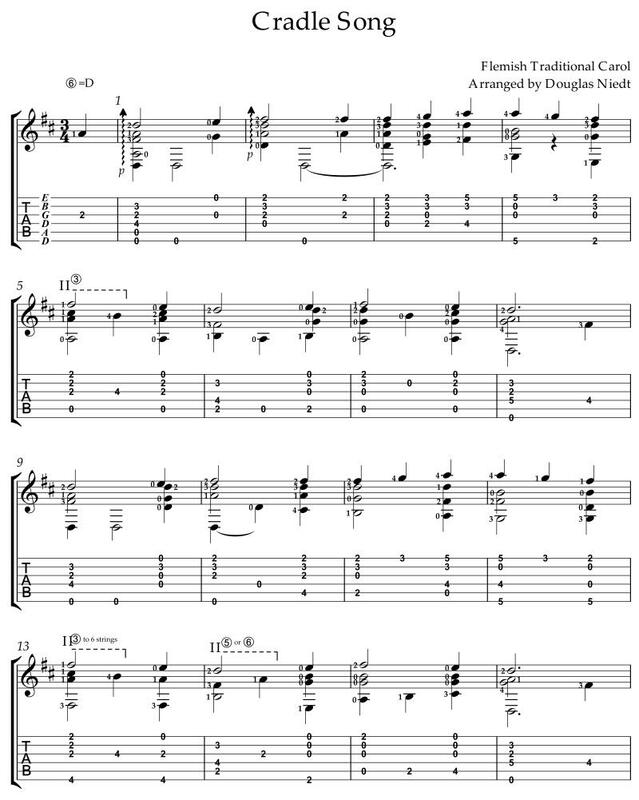 The music package includes the score in standard notation and standard notation plus tab. Also included is the video and an mp3 of me playing the song. You may download them to all your devices. 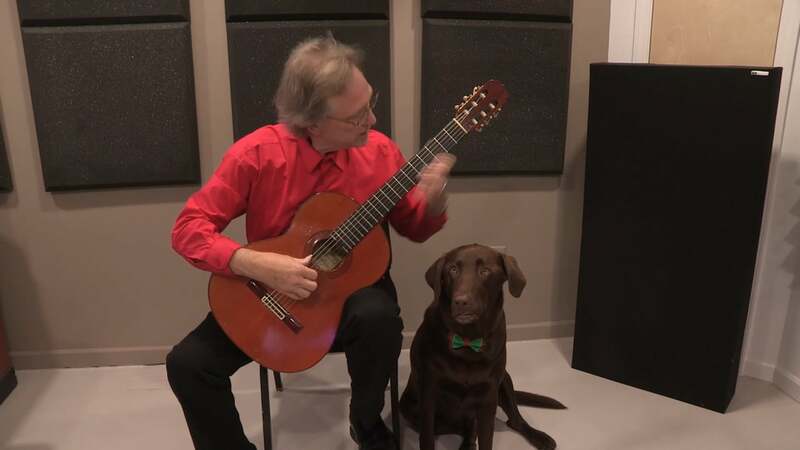 Christmas Carols for Guitar. FREE! 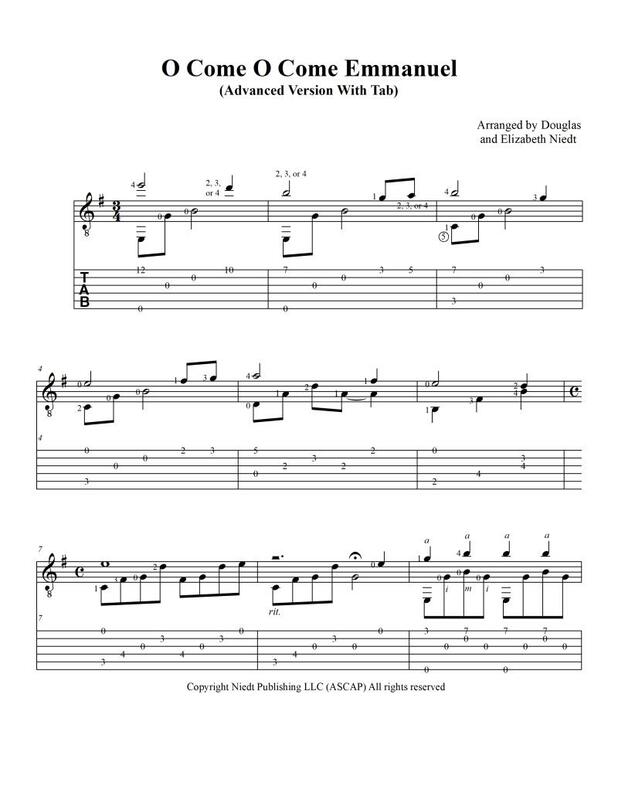 Free sheet music and free MP3s.